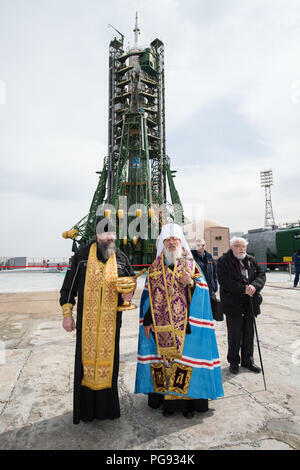 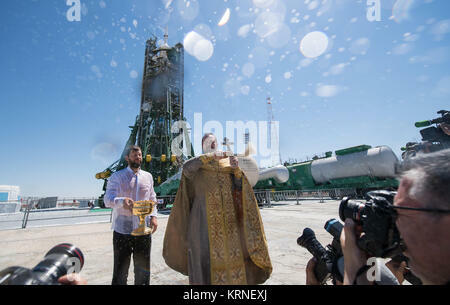 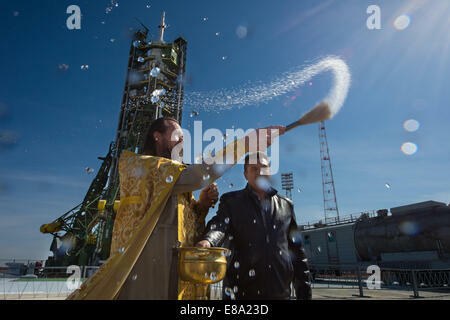 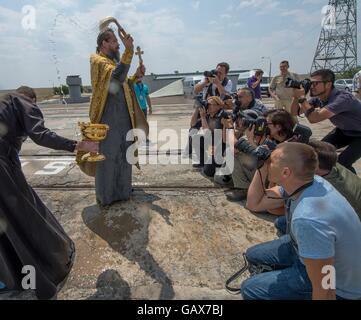 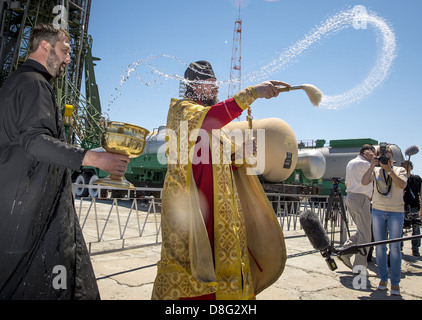 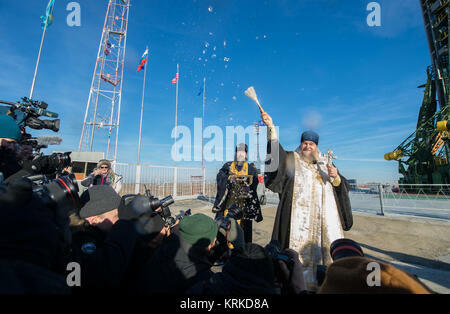 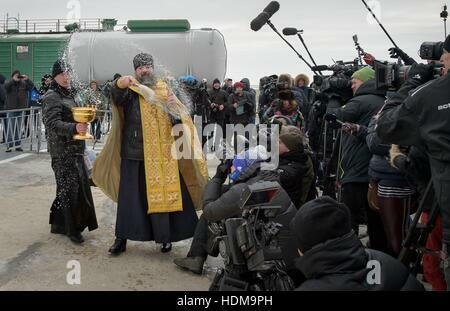 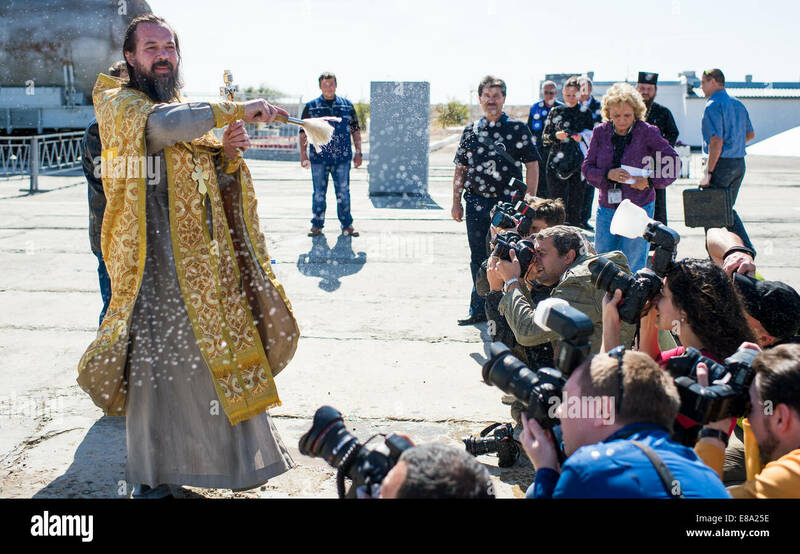 An Orthodox priest blesses members of the media at the Baikonur Cosmodrome launch pad on Wednesday, September 24, 2014 in Kazakhstan. 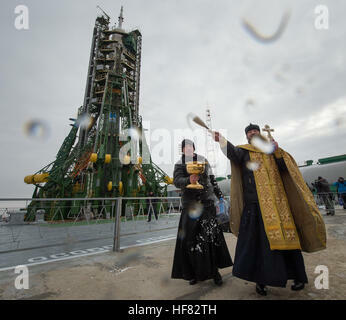 Launch of the Soyuz rocket is scheduled for September 26 and will send Expedition 41 Soyuz Commander Alexander Samokutyaev of the Russian Federal Space Agency (Roscosmos), Flight Engineer Elena Serova of Roscosmos, and Flight Engineer Barry Wilmore of NASA on a five and a half month mission aboard the International Space Station. 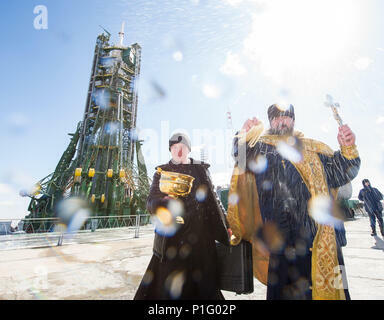 Serova will become the fourth Russian woman to fly in space and the first Russian woman to live and work on the station.